Picked these beautiful tomatoes from the garden just this morning! Would have enough to sell at market on Saturday if …. if only I could figure out what to do about the stinkbugs and/or tomato fruit worms eating almost all of our tomatoes!!! 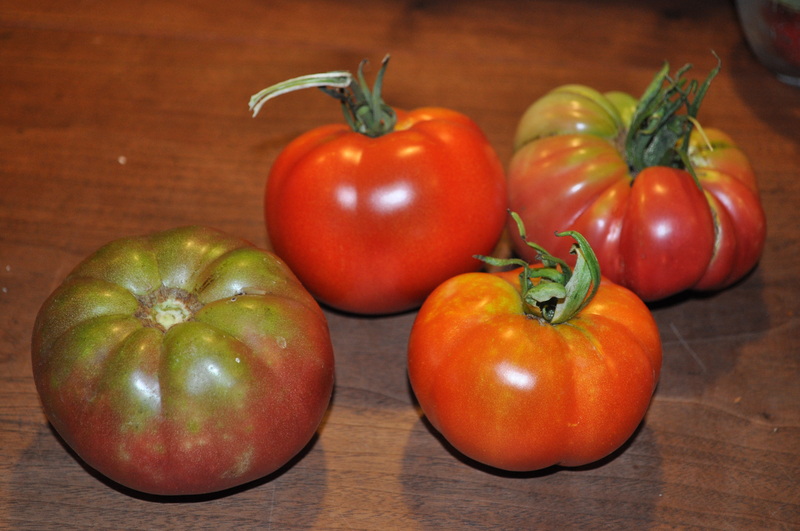 What a year for tomatoes … it has been quite a trial so far. I am researching it tonight. We will figure out how to get rid of these pests and have tomatoes to harvest soon!